THE SELF-DESCRIBED white supremacist accused of gunning down nine African-American churchgoers in South Carolina last year is mentally competent to stand trial, a federal judge ruled today. Jury selection is now set to begin on Monday in the death penalty trial of Dylann Roof, 22, who allegedly used a .45 calibre Glock handgun to kill his victims in the June 2015 massacre during a Bible study group inside a traditionally black church in Charleston. Originally scheduled to begin two weeks ago, the trial was delayed by Judge Richard Gergel, who ordered a closed-door competency hearing, citing “the defendant’s right to a fair and impartial jury and a fair trial” after his lawyers raised questions about his mental state. Gergel’s three-page ruling reveals no details about Roof’s psychological condition. The judge banned observers from the hearing despite objections from survivors, victims’ families and media. Releasing the hearing’s transcript “would prejudice the defendant’s right to a fair trial and a fair and impartial jury,” his ruling said. The mass murder at the Emanuel African Methodist Episcopal Church stunned the country. 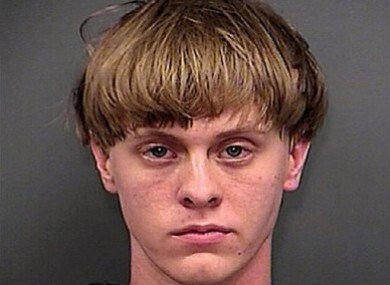 In addition to his federal trial, Roof is facing South Carolina charges that could also result in capital punishment. A separate state trial is expected to begin in January. Email “White supremacist Dylann Roof fit to stand trial over South Carolina church shooting”. Feedback on “White supremacist Dylann Roof fit to stand trial over South Carolina church shooting”.